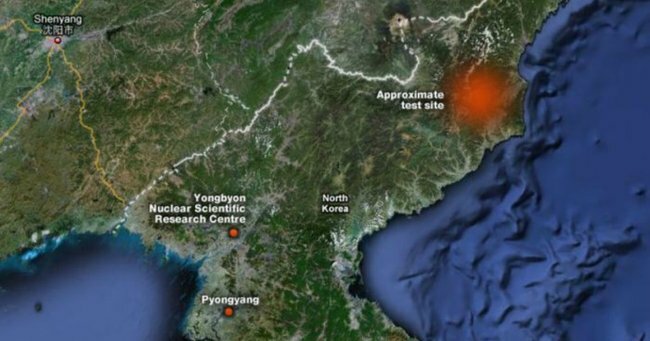 North Korea carries out 'successful' hydrogen bomb test; 'Man-made earthquake' suspected after tremor. 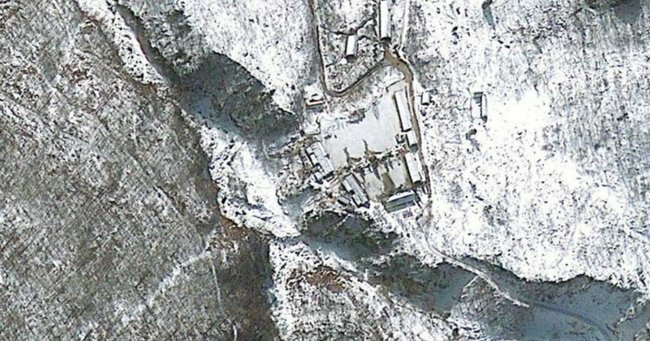 North Korea says it has conducted a “successful” hydrogen bomb test, indicated by a large tremor near its nuclear test facilities. If confirmed, the explosion marks a major step forward in the country’s nuclear development. “The republic’s first hydrogen bomb test has been successfully performed… based on the strategic determination of the Workers’ Party,” a state television news reader announced. “With the perfect success of our historic H-bomb, we have joined the rank of advanced nuclear states. A magnitude-5.1 tremor was earlier detected by the US Geological Survey (USGS) and South Korean officials said they suspected it was an explosion. “We suspect a man-made earthquake, and are analysing the scale and epicentre of the quake with the geoscience and mineral resource institute of South Korea,” a Korea Meteorological Administration (KMA) official earlier said. A revised location of the tremor by the USGS puts it at the same location as previous tests in 2006, 2009 and 2013, and at surface depth. While vowing to stick by a no-first-use policy, North Korea said it would continue to pursue an advanced nuclear strike capability. “As long as the vicious anti-North policy of the US persists, we will never stop development of our nuclear program,” a statement said. The surprise test was personally ordered by North Korean leader Kim Jong-Un and came just two days before his birthday. Last month, Mr Kim suggested Pyongyang had already developed a hydrogen bomb, although the claim was greeted with scepticism by international experts. A hydrogen or thermonuclear device uses fusion in a chain reaction that results in a powerful explosion. North Korea has hinted before of possessing “stronger, more powerful” weapons, but Mr Kim’s remarks were believed to be the first direct reference to an H-bomb. In Seoul, the presidential Blue House called an emergency meeting of the National Security Council as officials scrambled to confirm the precise nature of the tremor. The website of the China Earthquake Network Centre described the seismic activity as a “suspected explosion”, while the Japanese government said there was a strong possibility that “this might be a nuclear test”. A nuclear test is a major slap in the face to the North’s chief ally China and extinguishes any chance of a resumption of six-country talks on North Korea’s nuclear program that Beijing has been pushing for.